245 movies in eight weeks, eight MAMI weeks, since 2009. With an average of more than thirty movies every festival, it always leaves me exhausted. Despite all the inspiration and humility that one goes through after watching some great movies from around the world, the mind and the body are unable to start creating something anytime soon. 'Apprentice': Singapore's official entry for the Oscars this year, it looks like a powerful drama dealing with death and redemption. 'Donald Cried': The new American indie comedy, written and directed by Kris Avedisian who also plays the title character. 'Don't Call Me Son': From the director of the immensely entertaining 'The Second Mother', this Brazilian film definitely promises of another universally appealing film that can make us laugh and cry. Too bad I missed this. 'Hounds of Love': I could not make out much from the trailer but this film was received really well by the festival audience. 'My Mother's Wound': Why did I miss this? What a trailer! And this has to be a powerful, unforgettable story. 'Clash': Perhaps a tricky recommendation for the universal audience. But what the heck! Let us trust them with this and see how they react to it. A war drama. Unique for its setting entirely inside a van. 'Goodbye Berlin': A definite crowd-pleaser. Two teenaged boys. One road trip. Adventure. Nice music. Smart treatment. Coming-of-age. 'My Life as a Zucchini': A simple and sweet animation film. Watch it for the effortless smile it induces. And then call your friends and loved ones for being there in your lives. 'The Salesman': A seriously good story and a powerful drama. Watch it when in mood for something solid and gripping. 'Under the Shadow': A brilliant horror film. If you love this genre, watch this movie that proves there is still a lot of scope of originality despite staying within the confines of the genre. 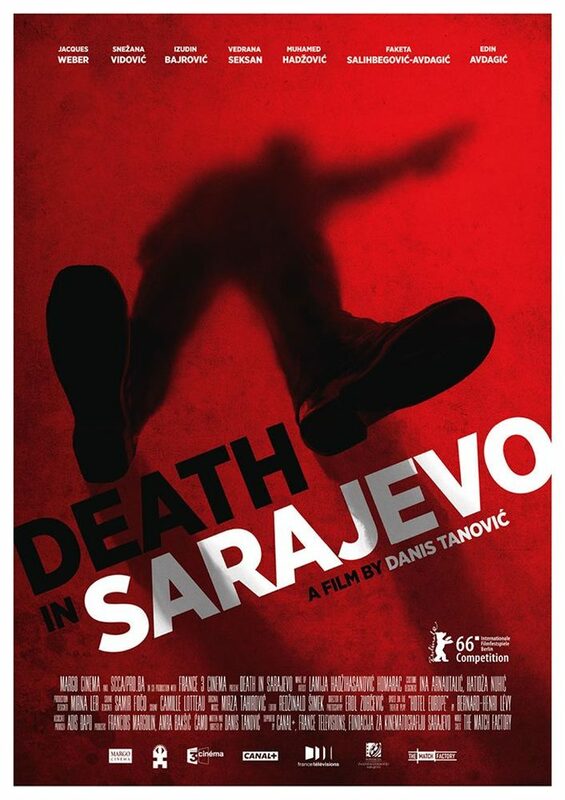 'Death in Sarajevo': I am not sure if I am the only person who loved this movie or there are more like me. But I really, really liked it. A drama set over a few hours in a hotel on a historic day, it tells stories of several characters connected by fate. A story as much of individual struggles as a nation's. 'I, Daniel Blake': The impact of this seemingly simple film is enormous despite a not-so-fresh story. The masterful direction and truthful performances make it entertaining, despite its sharp and pessimistic world-view. A sad delight! 'The Red Turtle': An 80-minute silent animation film, it may be one of the simplest you have seen. And yet it is complex. Not being able to understand it completely may frustrate you, but allow it to act on you like a poignant melody and it will cleanse you from within. I wish you could watch it on big screen. 'Swiss Army Man': Honestly, I was quite shocked by the audacity of this film and hence could not enjoy it as much as I should have. But yes, despite being an American film, it is so original while dealing with very universal themes that you almost feel what the audiences in the late 90s might have felt on watching 'The Truman Show'. 'The Untamed': Watch it for its unforgettable shock-value, like every Escalante film. And watch it for its fresh take on infidelity. We need more films like these that use sci-fi in the most original ways. 'The Wailing': Is this South Korea's answer to 'Rosemary's Baby'? Definitely one of the best horror films I have seen, it does not shock you with any gimmick in any of the scenes. Rather it suffocates you and strangulates you and leaves you haunted forever. 'Endless Poetry': If you can sit through it, this films does, as someone rightly remarked, all that cinema can do. It entertains you, pleases your senses in the most extra-ordinary ways, philosophizes and inspires, innovates and indulges, leaves room for interpretation, and makes you feel like revisiting it again. 'The Land of the Enlightened': Dabbling between documentary and drama, this is a lyrical film painstakingly created over years. I don't know if a person needs to achieve anything else in his life after having made a film like this. This film is reflects the pain Afghanistan has endured and showcases the beauty that land could have had. 'Paradise': Another film set during the Second World War, telling us accounts of Nazis and Jews. Another film in black and white, using the 4:3 aspect ratio. I might have missed it if I knew these about it. But I didn't and 'Paradise' might just be the greatest film I saw at this year's festival. 'The Woman Who Left': Watching this four-hour long and really slow film can be a very tough task. It does everything we avoid while telling stories on film and its design might appear distancing and alienating. And yet it creates some remarkable moments that affect you in the purest of ways. For the true film-buff only.